Your baby will love this soft and comfy Natural Sleep Wool Mattress Pad, and you'll love that it's cool and chemical-free for baby's healthy and peaceful sleep through the night. You and your baby will sleep through the night with the comfort and peace of mind that the Natural Sleep Children's Washable Wood Mattress Pad brings. Your baby will sleep deeply in soft and cool comfort. You'll love that the Mattress Pad is both washable and made with Organic materials to keep your baby healthy. Haiku Designs is pleased to offer healthy, Natural And Organic alternatives with our Natural Sleep Children's Washable Wool Mattress Pad. 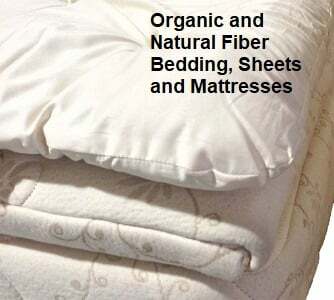 Instead of toxic chemicals and petroleum-based products in our mattress pads, we use all natural and organic materials such as Organic Cotton and Organic Certified Fine Merino Wool. The result is a luxurious, comfortable, healthy, all-natural and organic mattress topper designed for many years of enjoyment. Learn more about our certifications. Our Natural Sleep bedding and other sleep products provide you with a better night's sleep so you start the day with more energy, better health, and a sense of well-being. Quickly wicks away any moisture without making the bedding feel cold or clammy and prohibits any growth of dust mites, mold and mildew. Reduces sleep disturbance from tossing and turning. Provides an ultra-cozy sleep surface for all-night comfort. Creates a fresh, allergen free sleep environment. Tired joints and muscles are soothed by the plush feel of this topper, allowing for a deeper, more restorative sleep. Keeps your bedding fresh and breathable. Buffers pressure points on the body, reduce tossing and turning and keep you comfortable, so you sleep better and enjoy a higher quality of life. Keeps the body warm in winter and cool in summer. Relieves pressure points as it recovers up to 95% of its shape when compressed. Naturally flame resistant so no harsh chemicals are needed or added to the manufacturing process. Does not promote static electricity nor static cling. It is not only a fact, but it is also a science that natural wool is the mightiest of fibers. The Natural Sleep Children's Wool Mattress Pad features a 0.5” loft of this mighty fiber. The Shropshire wool fibers, with their “spring-action”, provide luscious comfort, and relief from pressure points. Wool’s miraculous capabilities prevent overheating or overcooling during sleep. “Biowash” treatment of the wool insures the Natural Sleep Pad to be chemical-free resulting in more healthy sleep. The 100% natural cotton percale cover adds to the luxurious sleep as it follows the curvature of the spine. Quickly wicks away moisture without making you feel cold or clammy. Less time is spent tossing and turning. Eco-friendly mattress pad for all four seasons. Lasts for many years with proper care. Wool out-performed other fibers used for children's bedding. Filled with 100% washable wool. Encased in 100% natural cotton percale, 270 TC. Comes in eco-friendly and reusable packaging. The sweet smell of wool assures you are receiving the true and pure wool filled product, free of harmful chemicals, toxins and synthetics. Wool aroma is appealing to the senses and helps induce a relaxed, healthy and comforting sleep environment. It will dissipate within few days after opening. I love Japanese furniture and this has been the place where I have bought the few pieces of furniture that I wanted. I have always had a great customer service. They have been very kind, patient and helpful with my slow process of making my decisions. 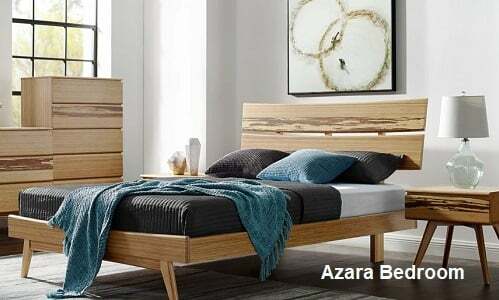 I also consider that the furniture has a good quality, it is beautiful and affordable... I am actually very grateful to them for their graciousness and patience with me during my last purchase about a month ago.